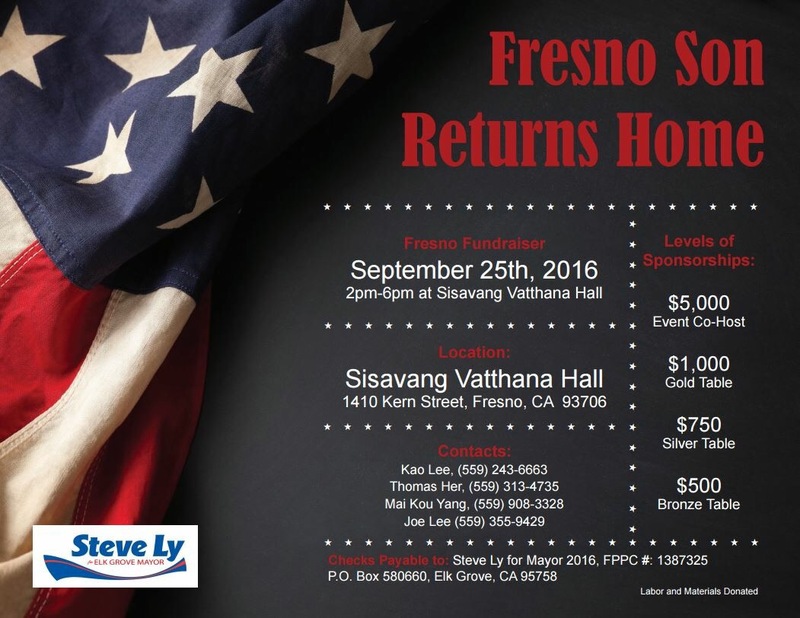 Why is an Elk Grove mayoral candidate holding out of town fundraisers? 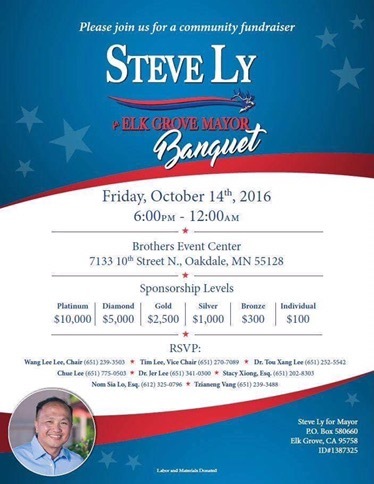 Candidate for mayor of Elk Grove, Steve Ly, is holding two out of town fundraisers, one in Fresno and one in Minnesota. Do Elk Grove residents want out of town and out of state money influencing the local campaign? It is widely believed that Ly has ambitions of higher office, such as state assembly or congress, and that the office of mayor would be a notch in his belt or a stepping stone to achieve that goal. Elk Grove residents should expect that someone running for office will plan on finishing the job first, Ly is 0 for 2 there, and is not looking at the job for selfish reasons and to move on to something better. Out for himself not for us. Carpetbagger.